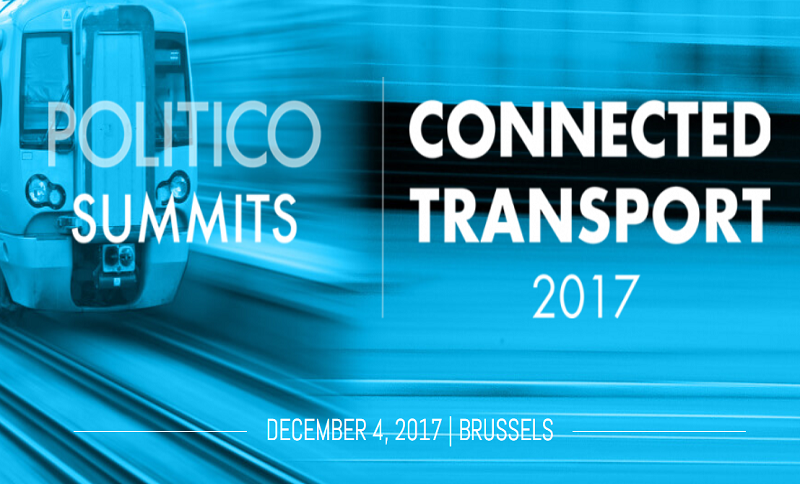 On the 4th December 2017 Politico organised the POLITICO’s Connected Transport Summit with the aim of mapping out the disruptions shaping the future of transport in Europe while setting out how the technologies of tomorrow will fit in with the infrastructure of today. The event gathered some 120 tech and transport experts, policymakers, regulators and disruptors that met with POLITICO’s journalists for a half-day of dynamic programming, with interviews, panel discussions and other learning moments to help attendees get smart about the future of transportation in Europe and explore how the digitalisation of the transport sector can be a driver for decarbonisation. What opportunities do digital solutions offer to mitigate the environmental impacts of transport? What is the role of cities in providing the fundamental infrastructure to optimize mobility like metro lines and how can mobility services get on board? Which technology disruptions are shaping the future of transport? How to make the most of these intelligent connected transportation systems? How to leverage the power of data and ensure it can be used securely? How is connectivity transforming commuter choices and impacting emissions?